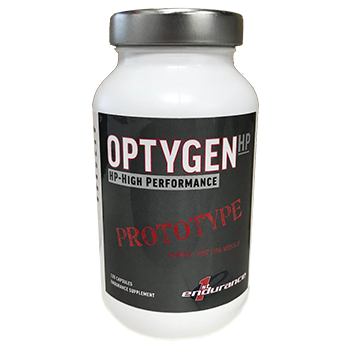 This new and improved Optygen-HP prototype is based on the latest clinical research on adaptogenic herbs and their effect on endurance athletes. It features the most-potent blend of Cordyceps mushroom extracts available. The latest research shows these extracts improve aerobic performance, increase V02max and increase time to exhaustion. Plus, it’s now vegan and 100% natural. 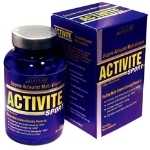 Other key active ingredients, like Beta Alanine, Rhodiola Rosea, OptiMax blend and Chromium remain the same. What is the new OPTYGEN-HP Prototype? At First Endurance we believe the best way to test new product prototypes is by getting them in the hands of our sponsored athletes. We solicit constant feedback from our athletes and use this feedback to stay at the forefront of endurance performance. The result: breakthrough endurance nutrition that’s second to none. This prototype is designed specifically to optimize performance for endurance athletes. The OPTYGEN-HP Prototype delivers the levels of nutrients that have been shown in clinical research to improve oxygen utilization, reduce lactic acid and allow the body to adapt to high levels of physical stress. What benefits will I experience with this new Optygen-HP Prototype formula? This formulation is based on the latest human clinical research on elite endurance athletes. The research has shown the following endurance benefits. Absolutely. All Ingredients in this prototype are legal for use in Olympic events, triathlons, bicycle races, etc. [Based on the banned substance list in the current USADA (US anti-doping association) & (WADA (World anti-doping association)]. In addition we don’t use any excipients or fillers, ensuring all of the ingredients in the product are listed on the label. Why does the OPTYGEN-HP Prototype contain adaptagens? The OPTYGEN-HP Prototype formula utilizes two adaptagens that are the primary ingredients in the formulation. Patented Rhodiola Rosea and Cordyceps are both found and cultivated in Tibet. Both these herbs play critical roles in allowing the body to adapt to high levels of physical stress (similar to the stress a body is subject to when climbing Everest). It’s these adaptations to hypoxia (lack of oxygen) which led researchers to also test its effects on elite athletes. Both Rhodiola and Cordyceps have been clinically shown to increase VO2Max, lung function, oxygen utilization and anaerobic threshold significantly. Why does this formula contain Beta-Alanine? A number of clinical studies have been conducted to evaluate the effects of beta-alanine supplementation on VO2max, time to exhaustion and lactate concentrations. Subjects supplemented with beta-alanine for six weeks. The group experienced a significant increase in VO2max, an improvement in time to exhaustion and lactate utilization. How is this new OPTYGENHP prototype formula different than the last OPTYGEN-HP? This is the most-powerful OPTYGEN-HP forumula available. This new prototype formula contains two strains of Cordyceps: Cordyceps Militaris and Cordyceps Sinensis. How do I use this new formula? You can use this new formula the same way you used the previous formulas. For best results, use this new OPTYGEN-HP formula during all intense training. This formula will allow you to train at a higher level by improving the body’s ability to adapt to physical stress, increasing aerobic threshold and reducing lactic acid. These improvements will help you race at a higher level. For best results, the OPTYGEN-HP prototype should be used consistently for many months leading up to competitive events. If you start taking it a week before a race, benefits will be minimal. Will I notice anything different vs the previous Optygen-HP formula? Does the new prototype formula contain ginseng? No, the new prototype formula doesn’t have Eleuthero Senticosus (Ginseng), which is in the non-prototype OPTYGENHP formula. The prototype formula contains a Cordyceps extract blend instead. The formula does still have panax notoginseng, which not a ginseng.